Beth Israel Medical Center, one of New York City’s premier hospitals, serves as the Manhattan Campus for the Albert Einstein College of Medicine. With three major divisions located throughout Manhattan and Brooklyn, Beth Israel serves the diverse populations of New York. Some of the hospital’s recent highlights include the opening of The Friedman Diabetes Institute, which focuses on the lifestyle of the diabetic patient to ensure lasting medical success; the increase in the number of accessible interpreters and special navigator programs to ease cultural barriers for our Jewish, Chinese, and Russian patients; and the opening of The Chris and Morton P. Hyman Patient Care Unit, which features amenities similar to five-star hotels. The Hirschfeld Foundation has provided financial support for hospital rebuilding projects, including the new emergency departments currently under construction. Providence, Rhode IslandTrustee, Board of Trustees (1992-2001)Trustee Emeritus (2002-Present) Brown University is a private university located in Providence, Rhode Island, and a member of the Ivy League. Founded in 1764 prior to American independence from the British Empire as the College in the English Colony of Rhode Island and Providence Plantations early in the reign of King George III (1760–1820), Brown is the third-oldest institution of higher education in New England and seventh oldest in the United States. Brown was the first college in the nation to accept students regardless of religious affiliations. Academically, Brown consists of The College, Graduate School, and Alpert Medical School. Brown’s international programs are organized through the Watson Institute for International Studies. Elie Hirschfeld received his bachelor’s degree from Brown University and remains President of his class. He established Brown University’s Hirschfeld Presidential Fellowship in Interdisciplinary Studies. Brooklyn, New York Regent, Board of Regents (1998-Present) Long Island College Hospital (LICH) is a teaching hospital situated at Hicks and Amity Streets in Cobble Hill section of Brooklyn, New York. Founded in 1858, the hospital has 516 beds. In 1860 it introduced the practice of bedside teaching and it later became the first U.S. hospital to use stethoscopes and anesthesia. In 1873 it introduced the first emergency ambulance service in Brooklyn. Its collegiate division would later form the Downstate Medical Center, an academic unit of the State University of New York in 1948. Today it remains an academic affiliate of the SUNY Downstate Medical Center and serves as a clinical campus for medical students in the Downstate College of Medicine. LICH is known for its world-class radiology department with top notch attending physicians, cutting edge technology and ground breaking research projects. The hospital is affiliated with the Continuum Health Partners. Elie Hirschfeld, founder of The Hirschfeld Foundation, has provided financial support for LICH rebuilding projects. Brooklyn College; Southampton College; Post CollegeTrustee, Board of Trustees (1986-1991) Long Island University was chartered in 1926 in Brooklyn by the New York State Education Department to provide effective and moderately priced education to people from all walks of life. Long Island University offers 590 undergraduate, graduate and doctoral degree programs and certificates, and educates over 24,000 credit-seeking and continuing education students in Brooklyn, Brookville (C.W. Post), Brentwood, Riverhead, Rockland and Westchester. New York, New York Trustee, Board of Trustees (2000-Present) New York Eye and Ear Infirmary is one of the most prominent otolaryngology and ophthalmology hospitals in the world. Founded in 1820, it was the nation’s first specialty hospital. It is presently located at 310 East 14th Street on the corner of Second Avenue and is a member of Continuum Health Partners. New York Eye and Ear Infirmary is associated with the New York Medical College and has a rich history of providing graduate and continuing medical education. Each year, thousands of physicians and medical students compete for entrance into this institution for training but only four are accepted. New York, New York Trustee, Board of Trustees (1983-Present) Chairman, Friends of the Hospital (1985-Present) St. Luke’s-Roosevelt Hospital Center is a 1,076-bed, full-service community and tertiary care hospital serving New York City’s Midtown West, Upper West Side and parts of Harlem. Its two hospital components, which merged operations in 1979, are nearly 50 blocks apart on Manhattan’s west side. 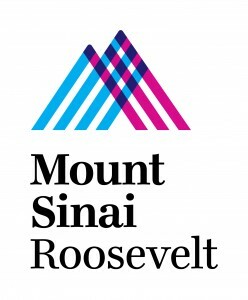 St. Luke’s Hospital and Roosevelt Hospital provide much of the inpatient, outpatient and emergency medical care for more than half a million residents of the West Side of Manhattan, as well as for patients throughout the New York metropolitan region and beyond. The Hirschfeld Foundation has provided support for a variety of rebuilding projects, including the new emergency department, which includes a wing named the Elie Hirschfeld Triage Center. Rehovot, IsraelDirector, U.S. Board of Directors (1988-Present) The Weizmann Institute of Science, located in Rehovot, Israel, is one of the top-ranking multidisciplinary research institutions in the world. Noted for its wide-ranging exploration of the sciences and technology, the Institute gathers together 2,500 scientists, technicians and research students devoted to adventuring into the unknown. In their labs, located in a landscaped campus environment, they share a vision: To better understand nature and our place within it. Inquisitiveness is their predominant trait. It is this curiosity that has propelled Homo sapiens up the slope of evolution. Board of Directors (1980-1990) The Jewish National Fund was founded in 1901 to buy and develop land in Ottoman Palestine (later Israel) for Jewish settlement. The JNF is a non-profit corporation owned by the World Zionist Organization. By 2007, the JNF owned 13% of the total land in Israel, and since its inception, the organization has planted over 240 million trees in Israel. It has also built 180 dams and reservoirs, developed 250,000 acres of land and established more than 1,000 parks. In 2002, the JNF was awarded the Israel Prize for lifetime achievement and special contribution to society and the State of Israel. The JNF enjoys a Charity Navigator 4-Star rating. The Metropolitan Museum of Art, typically referred to as The Met, is a distinguished art museum located on the Upper East Side of Manhattan on the edge of Central Park. It runs along the Museum Mile, which also houses Museum of the City of New York, The Jewish Museum, and Solomon R. Guggenheim Museum. It has a permanent collection containing more than two million works of art, divided into nineteen curatorial departments. The main building is one of the world’s largest art galleries, and has a much smaller second location in Upper Manhattan, at The Cloisters, which features medieval art. The Real Estate Council promotes its industry’s involvement in the Metropolitan Museum of Art, with a particular focus on the educational programs the Museum provides for millions of visitors annually. The Andrew and Justin Segal Real Estate Roundtable (1980-1990) New York University (NYU) is a private, nonsectarian, research university in New York City. NYU’s main campus is situated in the Greenwich Village section of Manhattan. 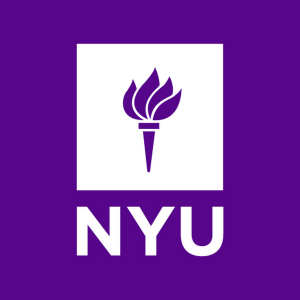 Founded in 1831, NYU is the largest private, nonprofit institution of higher education in the United States, with an enrollment of more than 50,000 students. NYU has graduated 31 Nobel Prize winners, 3 Abel Prize winners, 16 Pulitzer Prize winners, and 19 Academy Award winners, as well as Emmy, Grammy, and Tony Award winners.The Andrew and Justin Segal Real Estate Roundtable invites NYU Law School alumni and other prominent figures to share their experiences in real estate with students. As a graduate of NYU Law School, Elie Hirschfeld of the Hirschfeld Foundation has been proud to participate in this valuable program. Patron The Central Park Conservancy is a private, not-for-profit organization founded in 1980. The Conservancy manages Central Park under a contract with the New York City Department of Parks & Recreation and has invested more than $500 million to date, making Central Park a model for urban parks worldwide. The Conservancy provides 85% of Central Park’s $27 million annual operating budget and is responsible for all basic care of the Park. Founder Beitar Illit is an Israeli settlement and city west of Gush Etzion in the Judean Mountains of the West Bank. Located 6.2 miles south of Jerusalem, Beitar Illit was established in 1985 and initially settled by a small group of young families from the religious zionistyeshiva of Machon Meir, including that of Rabbi Reuven Hass. As Beitar Illit began to grow, an influx of Haredi Jewish families came to predominate while the original group moved on. The city has since expanded to three adjacent hills.The largest park in Beitar is named the Hirschfeld Family Park to commemorate Hirschfeld family contributions to the founding of the city. Patron Located on Manhattan’s Upper West Side, Congregation Kehilath Jeshurun is a modern Orthodox synagogue, founded in 1872. It has always sought to foster among its membership an abiding commitment to halacha and mitzvot, which represent the essential foundation of any Orthodox institution. The synagogue also stands firmly for the proposition that KJ is a part of a larger community: a community of the Jewish People and the State of Israel, to be sure, but also of New Yorkers, Americans, and humankind. Patron The Ramaz School is a coeducational, private Modern Orthodox Jewish prep school located on the Upper East Side in Manhattan. It consists of a lower school (nursery-4th grade), a middle school (5th grade-8th grade), and an upper school (9th grade-12th grade). The school is affiliated with Congregation Kehilath Jeshurun (“KJ”), located on E. 85th street, which shares a building with the lower school and is across the street from the middle school. LIVESTRONG has served millions of people affected by cancer through collaborative programs and direct support services that fill critical financial, emotional, physical and practical gaps in care.